There is only on reason that Battlefield Bad Company 2 has a single player campaign, and that is because Electronics Arts doesn’t want to lose sales to those gamers who have heard about the series but haven chosen not to subscribe to Xbox Live. Everyone who talks about Bad Company 2 inevitably talks about multi-player matches. That’s because the campaign is as memorable as a pile of mashed potatoes. What can I say? After a decent but uninspired World War 2 prologue you end up fighting the Russians. Because they’re Russians and they’ve got this army now and stuff. I don’t know how game writers can crank this sort of drivel out with a straight face, particularly considering that the original Modern Warfare has already shown that single player shooters don’t need to have absurd campaigns. But here it is, staring every gamer in the face, complete with wise-cracking sidekicks only a mother could love. And since 3D models have no mothers, well – you get where I’m going with this. So the writing is terrible. That can be forgiven if the gameplay is outstanding. Unfortunately, it isn’t. That’s not to say the mechanics are bad, because no one can accuse Bad Company 2 of not knowing how to model weapons or give weight to your character’s movements. They mechanics are just not good enough to make you stop wondering why you’re playing the single player of a game so obviously built for competitive online play. The AI doesn’t help matters, either, as it seems to go from borderline insane to stone-cold killer in an instant. Now we get to the meat of the game. 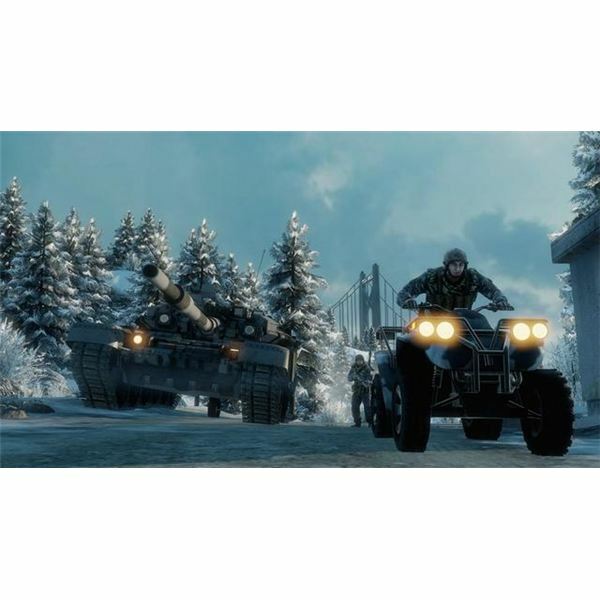 The multi-player elements of games in the Battlefield series have always been unique. The original games were heavy on the use of vehicles, something which in their day was uncommon. The Bad Company franchise added a new gimmick to the mix – fully destructible buildings. It is a gimmick which has substantial impact in how the game plays and gives Bad Company 2’s multi-player a visceral feel uncommon in shooters. Taking cover doesn’t necessarily mean that you’re safe, as the wall you’re hiding behind is only a single cannon shell away from coming down. But Bad Company 2 isn’t trying to be a building demolition simulator. The fundamentals of the shooter are extremely tight and perhaps the best of any shooter currently available on the Xbox 360. The weapons have real weight to them. They fire like you’d expect them to and have recoil characteristics which just feel right. Each "kit" in the game has their own particular weapon specialty, and although the weapons are all simply guns, the differences between them are night and day. The assault rifles, for example, have an impressive muzzle flash that might attract enemy attention, while the sub machineguns have silencers which make them virtually invisible and inaudible when fired. The maps are great, as are the vehicles, which are probably the best to be seen in any Battlefield game ever. 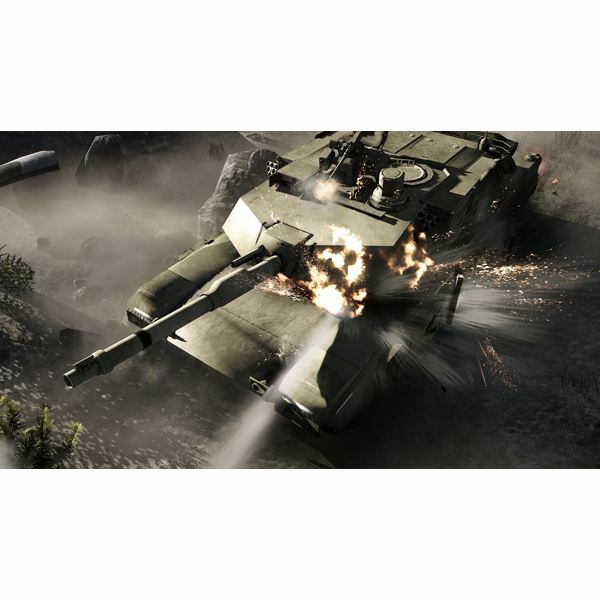 Bad Company 2 has some of the best and worst matchmaking available in an Xbox 360 shooter today. The good news is that the matchmaking is incredibly smooth. There are no hick-ups, no lobby screens, and no need to wait. If you pick quick match, you actually will be in a match quickly, something which can’t be said of all matchmaking systems. Bad Company 2 also does an excellent job of tallying your performance and giving you tangible rewards for performing well. 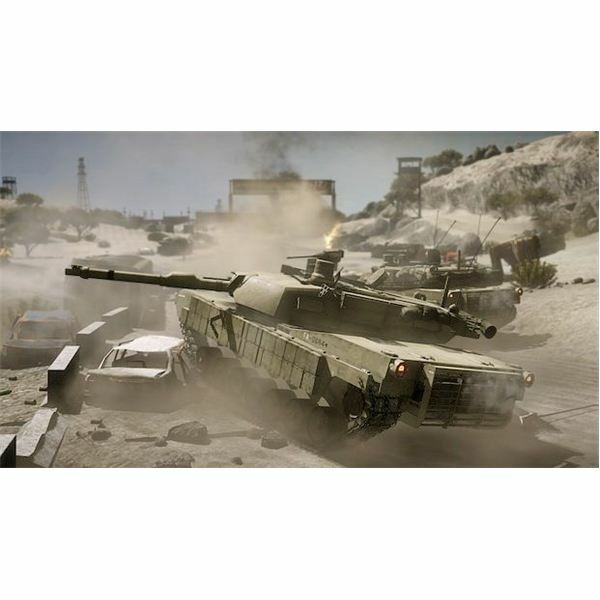 There are numerous unlocks which can be achieved as well as a huge number of badges which are awarded for all sorts of feats, from killing five people in a round with headshots to repairing five tanks in a single round. The bad news, however, is that Bad Company 2 uses an absolutely absurd squad system. The idea is that four players in a given match form a squad. The squad members can chat among themselves and assist each other. The reality is that unless you already have three friends who want to play the game you’re going to be thrown into a squad of people who couldn’t care less about you. This alone doesn’t isn’t much different from joining a public match in any online game. The real problem, however, is that voice chat is only available among members of a squad. Want to tell he guy beside you to watch you because there is a sniper on the hill across the road? If he isn’t in your squad, you can’t. Honestly, I have no idea what DICE was thinking when they came up with concept. It is destroys the already weak sense of cooperation found in public matches, effectively turning them into aimless team deathmatches with the occasional objective to take or destroy. The visuals of Bad Company 2 are certainly nothing to scoff at. The game’s art direction is excellent and provides some very interesting backdrops for the various single-player and multi-player levels. The multi-player levels are particularly impressive. Normally one would expect a multi-player map to be relatively static and contained, but Bad Company 2 goes out of its way to create visual effects which make the battle field as if it is part of a largely campaign. On one map, for example, players parachute in to the deployment zone. The planes which deployed them don’t merely disappear, however – instead they fly over the enemy camp, majestically heralding the combat to come. While the visuals if Bad Company 2 are very good, the sound design is literally without peer. I can not think of a single Xbox 360 shooter which sounds better than Bad Company 2. Everything, from the cannon fire of a tank to the bada-bada-bada of a machinegun, has a deep, realistic tone. What’s even more impressive, however, is how well the sound is staged. The sound is subtle enough that hearing a tank fire actually gives you a good indication of what direction it is in and how far away it is. This is something most games just don’t bother with, but Bad Company 2 absolutely nails it. Bad Company 2 is, in some ways, the best shooter on the Xbox 360. The feel of the gunplay, the smoothness of the match-making, and the wonder of the game’s sound are all elements which no other shooter for the 360 can match. DICE seems to have had a clear vision of what Bad Company 2 was supposed to be and has executed on that vision masterfully. Yet I have two problems with the game. The first is that the game feels in some ways incomplete. The voice chat for public matches is extremely poor and requires a complete overhaul. The single player campaign feels like an obvious afterthought tacked on only so the game will not lose a few sales to those who don’t intend to play online. The second problem, however, is fun. I don’t find this game to be fun. Is it engaging, intense, and challenging? Absolutely. A match of Bad Company 2 with a few friends is as close to an adrenaline rush as you’ll manage from the comfort of your couch. Bad Company 2’s grand-daddy is Counter-Strike, not Quake, and so playing Bad Company 2 feels like serious business. That is a problem for me, but it won’t be a problem for everyone. The question, then, is what kind of gamer are you? Do you take pride in your virtual accuracy? Or do you prefer games which allows you to take it easy? I give my recommendation to this game, but it is a tentative one dependent on the answer to the question above.